It's easy to see how much the Lebanon Cedar tree is revered by residents of the Eastern Mediterranean country. The large evergreen is featured prominently on the country's flag and its coat of arms. The massive cedar, with its undulating network of branches, is the national emblem of Lebanon, though its value is known the world over. Known for its eye-popping maze of twisting offshoots, the Lebanon Cedar is easy to spot in a forest of evergreens. 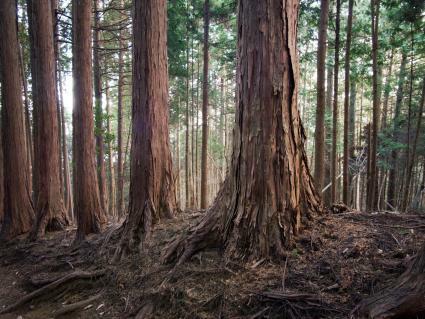 The aromatic cedar can grow to more than 80 feet tall. However, its expansive canopy is what draws the most attention. The tree's wide-spreading branches can flatten and spread out to 50 feet or more. Branches: The Lebanon Cedar's massive horizontal branches conform to its habitat. When forced to grow in a dense forest the branches grow straight and narrow. However, when allowed to thrive in open spaces, the tree is free to spread and flatten to create a voluminous canopy. Leaves: Given its roots as an evergreen, the Lebanon Cedar's leaves are needle-like in shape rather than flat and oblong. The long, stiff needles grow in tufts and are dark blue-green. The tufts, which consist of 30 to 40 needles and are often referred to as "rosettes," remain on the tree for about two years before falling to the ground. Flowers: The Lebanon Cedar's flowers, or catkins, don't appear on the tree until its 25th growing season. Each drooping catkin measures about two inches long and is reddish-brown in color. Fruit: The Lebanon Cedar's fruit are barrel-shaped cones that measure about five inches long. Young cones are light green and scaly, but as the tree ages the seed-containing cones turn a dull brown color. The Lebanon Cedar is formally known as the Cedar of Lebanon. The ornamental tree is part of the Cedrus libani species. This specific type of cedar is native to Lebanon and other parts of the Mediterranean region, including Turkey, Palestine and Israel. It does not have a subspecies; rather, the tree is one of two distinct types of Cedrus libani along with the Turkish cedar. Similar to its Turkish cousin, the Lebanon Cedar is a slow-growing tree whose longevity is legendary. Some Lebanon Cedars have been on earth for more than 1,000 years. The historic cedar grows in the mountainous areas of Lebanon; however, that is not the only place you'll find its beauty. The Lebanon Cedar, which thrives in deep soil and high elevations in warm temperate regions, has been planted throughout the world including the Taurus Mountains of Syria and at the Polly Hill Arboretum on Martha's Vineyard, Massachusetts. While large forests of native cedars used to grace the hills of ancient Lebanon, these days the trees only remain in small patches across the country. Unfortunately, the Lebanon Cedar couldn't withstand the scourging of ancient Phoenicians, who used the timber for their ships, and others who ravaged forests to create the country's most populated cities, as well as thrones, altars and statues from the tree's wood. The Lebanon Cedar is prized for its versatility. In addition to being attractive, fragrant and commercially valuable, the tree has a number of medicinal uses. Ancient Lebanese also used the tree's oils to increase immune cell production. In addition, many believe the tannins and flavonoids found in the tree's wood are able to cure warts and other skin problems. The Lebanon Cedar is referred to in the Bible numerous times. The religious book mentions the forests of cedar trees located just north of Israel in what is now Lebanon. 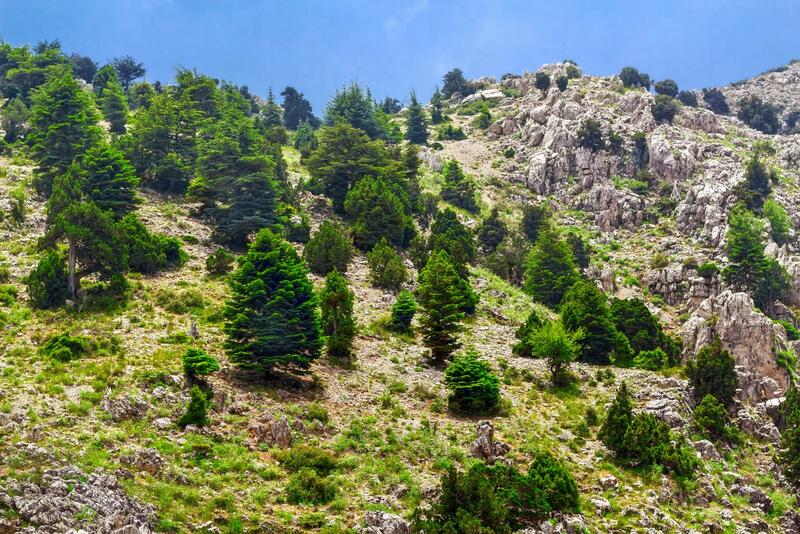 Today, most of those forests have been wiped clean, which is why the cedar tree is a protected species in Lebanon. The long exploitation of the precious trees has prompted programs to conserve and regenerate Lebanon Cedar forests. The Lebanese are trying to repopulate the forests via natural regeneration instead of actively replanting the trees. Lebanon Cedars are extremely hardy trees and are not prone to diseases or pests. The cedar requires large doses of sunlight, as well as plenty of water. However, if the tree is exposed to an excessive amount of liquid it can experience root rot. The disease can be deadly if the soil surrounding the tree's roots does not have adequate drainage. Water soaked soil makes it very difficult for the roots of the Lebanon Cedar to get air, which leads to the decay. To avoid root rot, don't overwater the tree. In addition, make sure it is placed in a spot where it is exposed to full sunlight. The heat from the sun can dry wet soil and prevent root rot. When adding a young Lebanon Cedar tree to your property, be sure to plant it in the winter or early spring, as the roots don't take well to being transplanted in the hot summer months. Choose an area with full sun and well-drained soil. When planting, dig a hole about twice as large as the root ball of the tree. Don't fertilize a newly planted tree until it survives the first growing season. Protect young Lebanon Cedars from animals by placing chicken wire around the base of the tree. If you are having a problem with wet soil, mix some sand in with the dirt, and then add mulch around the base of the Cedar. The sand will absorb excess water, while the mulch will help conserve the nutrients in the soil. The Lebanon cedar tree is ancient and stands out in the Bible and other religious texts. In addition to its landscape uses, the aromatic oils are prized as medicinal aids.